Our Classic Capri pant is made from luxurious 100% European Linen. We put elastic and a drawstring in the waist for a nice flat fit and pockets on the sides. Perfect weight for the warm summer days and travel. 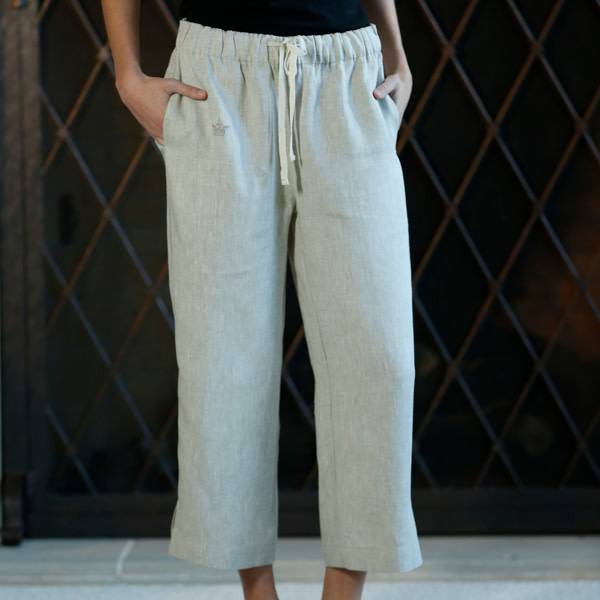 Our Basic Capri pant is made from luxurious 100% European Linen. We put elastic and a drawstring in the waist for a nice flat fit, side slits at the ankles and pockets on the sides. Perfect weight for the warm summer days and travel. You will be amazed at how wonderfully fitting this classic pencil skirt is on every body type. Skirt is made of 100% linen, lined, flat front with elastic back at waist, back zipper. Length is just below the knee. 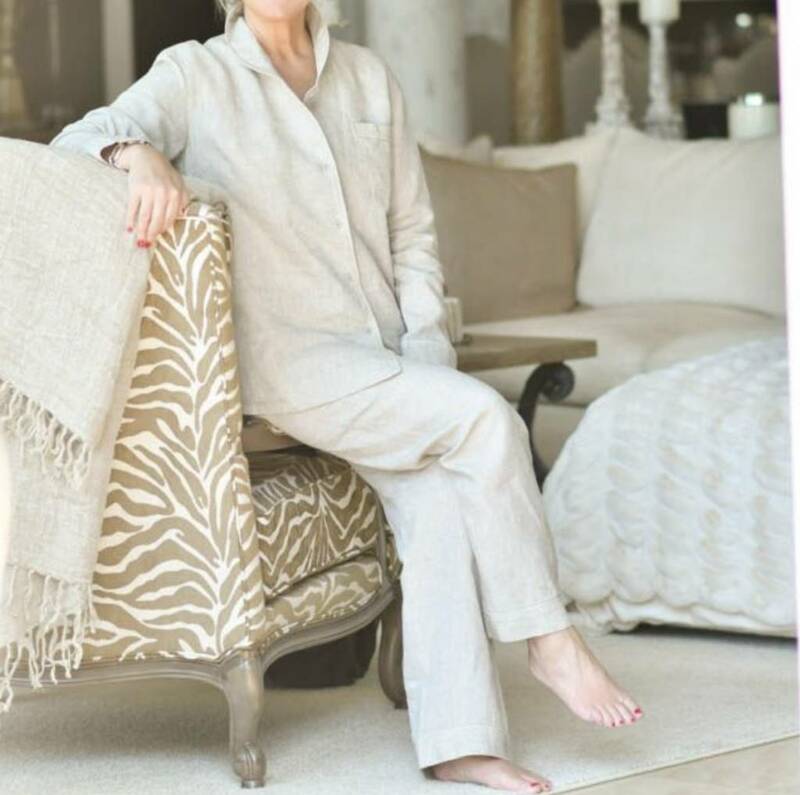 Enjoy this beautiful 100% European pajama set all year long. Linen will keep you warm in the winter and cool in the summer.